Quin Marie Torkelson is the daughter of Christopher S. Torkelson. (?) Halbert married Carol Bullington, daughter of Leslie A. Bullington and Viola Virginia Struck. Huey Caster married Cheryl Lynn Bullington, daughter of Leslie A. Bullington and Viola Virginia Struck. David Dustin Turk was born on 1 May 1978 at Casper, Natrona Co., Wyoming. He was the son of Charles S. Turk and Cheryl Lynn Bullington. David Dustin Turk married Latitia D. Whittington on 20 April 2006 at Casper, Natrona Co., Wyoming. David Dustin Turk died on 27 November 2008 at Glenrock, Converse Co., Wyoming, at age 30. He was buried on 3 December 2008 at Oregon Trail State Veterans' Cemetery, Evansville, Natrona Co., Wyoming. Dec 2, 2008 GLENROCK - A funeral service for David Dustin "Dusty" Turk, 30, will be held at 1 p.m. Wednesday, Dec. 3, 2008, at the Oregon Trail State Veterans' Chapel in Evansville, WY, with Chaplain Todd Wolfe officiating. Interment will be in the Oregon Trail State Veterans' Cemetery. Dusty Turk a resident of Glenrock, WY, died at his home on Thursday, Nov. 27, 2008. He was born May 1, 1978, in Casper, WY, the son of Charles S. and Cheryl L. (Bullington) Turk. He was reared and educated in Glenrock and was involved with the Job Corps in Anaconda, MT, where he received his GED. He enlisted in the U.S. Army in 1996, and following his discharge he worked as mechanic, welder, and heavy equipment operator. He had served with the Army National Guard since 2004. He was part of the "Ghost Riders" (1041st Engineering Company) out of Rock Springs, WY. They were deployed to the Iraq War in June, 2006, and returned to Wyoming in October, 2007. He married to Latitia D. Whittington on April 20, 2006, in Casper. He was a member of the Viet Nam Vets/Legacy Vets Motorcycle Club. He enjoyed hunting and tinkering with cars and motorcycles. He loved riding his bike, no matter what the weather condition were. He is survived by his wife, Latitia Turk, daughters, Mahtaya, Mykah, and Mystori Turk all of Glenrock; father and stepmother, Chuck and Joni Turk of Wamsutter, WY; mother, Cheryl Ayers of Casper; siblings, April (Darrell) Summers of Glenrock, Felicia (Chris) Rollier of Taylorsville, KY, Angela (Chris) Gauna of San Antonio, TX, and Cody Turk of Wamsutter; paternal grandmother, Alice N. Turk of Cheyenne, WY; maternal grandmother, Viola Bullington of Casper; and numerous aunts, uncles, nieces, nephews, and cousins. He was preceded in death by his brothers, Chuck Turk, on Sept. 3, 2000; and his twin brother, Chad Turk, on Nov. 15, 2006; cousin, Beau Bullington; paternal grandfather, Charles Turk; and maternal grandfather, Les Bullington. Serving as pallbearers will be Ray Monasmith, Marvin Turk, Pat Pritchard, Daniel Salyards, Kenyan Opps, and Jon Haines. Serving as honorary pallbearers will be the Legacy Veterans Motorcycle Club. Memorials to the Disabled Veterans Association would be appreciated by the family. Gorman Funeral Homes-Converse Chapel of Douglas, WY, is in charge of the arrangements. Charles S. Turk married Cheryl Lynn Bullington, daughter of Leslie A. Bullington and Viola Virginia Struck. Latitia D. Whittington married David Dustin Turk, son of Charles S. Turk and Cheryl Lynn Bullington, on 20 April 2006 at Casper, Natrona Co., Wyoming. Mahtaya Turk is the daughter of David Dustin Turk and Latitia D. Whittington. Mykah Turk is the daughter of David Dustin Turk and Latitia D. Whittington. Mystori Turk is the daughter of David Dustin Turk and Latitia D. Whittington. Male Ayers married Cheryl Lynn Bullington, daughter of Leslie A. Bullington and Viola Virginia Struck. Cody Turk is the son of Charles S. Turk and Cheryl Lynn Bullington. Charles Robert Jeremy Turk was born on 3 February 1976 at Casper, Natrona Co., Wyoming. He was the son of Charles S. Turk and Cheryl Lynn Bullington. Charles Robert Jeremy Turk died on 3 September 2000 at age 24. Chad Allen Ralph Turk was born on 3 February 1976 at Casper, Natrona Co., Wyoming. He was the son of Charles S. Turk and Cheryl Lynn Bullington. Chad Allen Ralph Turk died on 15 November 2006 at LaBarge, Lincoln Co., Wyoming, at age 30. He graduated in 1994 at Glenrock High School, Glenrock, Converse Co., Wyoming. Nov 19, 2006 LABARGE - Memorial services are pending for Chad Allen Ralph Turk, 30, following cremation at Vase White Mountain Crematory. He died Wednesday, Nov. 15, 2006. He had been a resident of LaBarge for the past year. He was born Feb. 3, 1976, in Casper, the son of Charles S. Turk and Cheryl L. Ayers. He attended school in Glenrock, graduating from Glenrock High School. He was employed by M.C. Simpson Trucking as a truck driver. His interests included spending time with his daughter, family and his many friends. He also loved music of every kind, riding motorcycles, and was a great artist, poet and cook. He was a never afraid to give hugs and kisses to show his love. A true man with a loving heart, he had a very giving nature and was always ready to help. Survivors include his mother, Cheryl Ayers of Casper; father Charles S. Turk and his wife of Wamsutter; daughter, Tavist Hegglund of Douglas; son, Trystan Turk of Madison, Wis; one brother, David D. Turk and his wife of Glenrock; four sisters, April Summers and her husband of Glenrock, Felicia Rollier and her husband of Cheyenne, Angela Gauna and her husband of San Antonio, Texas, and Rodi Arellano and her husband of Rawlins; grandparents, Alice N. Turk of Cheyenne and Viola Bullington of Casper; stepgrandparents, Erma and Gary Torske of Cheyenne and Duane and Beverly Befort of North Platte, Neb; and several aunts, uncles, cousins, nephews and nieces. He was preceded in death by his twin brother, Charles R. Turk; one aunt, Gerry Kelly; his grandfathers; and one cousin, Bo Bullington. April Turk is the daughter of Charles S. Turk and Cheryl Lynn Bullington. Joseph Russell Kern married Ann Carolyn Sells, daughter of Col. John Kenneth Sells and Lewis Ellis. [S2404] Marriage certificate - Janet Kern, http://www.ancestry.com, unknown repository address. Hereinafter cited as Marriage certificate - Janet Kern. [S2405] BYU-Idaho Special Collections & Family History, online http://abish.byui.edu/specialCollections/famhist/Obit/searchForm.cfm, Post Register Newspaper, Idaho Falls, Idaho, 4 Dec 1987, pg B-6. Clark County Newspaper.. Hereinafter cited as Eastern Idaho Death Records. Male Varos married Mary Struck, daughter of George Struck and Juanita Teresa Tafoya. Jane (?) married Monte Lowell Farner, son of Eldon Lowell Farner and Naomi Bernice Richards. Greg Loberg married Cindy Lou Farner, daughter of Eldon Lowell Farner and Naomi Bernice Richards. Lonni Roth married Paula Jean Farner, daughter of Eldon Lowell Farner and Naomi Bernice Richards. She graduated in 1934 at Red Wing Central High School, Red Wing, Goodhue Co., Minnesota.1 Enid Florence Hall was a Methodist.1 As of 16 May 1941,her married name was Featherstone. Our loving mother, Enid (Hall) Featherstone, 94, of Red Wing, passed away Tuesday, April 6, 2010 at the Villa at St. Brigid's at Hi-Park. She was born August 18, 1915 in Grand Meadow, Minnesota to Reverend Everett and Florence (Ruddick) Hall. She attended schools in Slayton, North Mankato, Pipestone, and graduated from Red Wing Central High School in 1934. She attended Hamline University. She was employed at the St. Paul Fire and Marine Insurance Company in St. Paul. Enid married Glenn Featherstone on May 16, 1941 and they made their home in Featherstone Township. She worked for many years at St. John's Hospital in Red Wing as the Surgical Ward Secretary and also worked as the Youth Director for First United Methodist Church from September of 1970 to May of 1976. She was an active member of First United Methodist Church and the United Methodist Women, the Featherstone Project Group and had been a member of the PEO Sisterhood for 64 years. Enid enjoyed traveling, spending winters in Mission, Texas and visiting the family cabin near Bemidji in the summers. She was an avid follower of Red Wing Athletics and had also enjoyed camping, boating and spending time with her family, especially her grandchildren and great-grandchildren. She is survived by her children, Joy (Charles) Rowen of Inver Grove Heights, Bruce (Linda) Featherstone of Hastings, Don (Barb) Featherstone of Red Wing, and Julie (Chuck) Kinney of Red Wing; 12 grandchildren, 15 great-grandchildren, and nieces and nephews. She is preceded in death by her husband, Glenn; parents, and three brothers, Dr. William Hall, Dr. Kenneth Hall, and Phillip Hall. Memorial service will be 2 p.m. Monday, April 12, 2010 at First United Methodist Church with Reverend Wayne Walther officiating. Visitation will be 3 p.m. to 5 p.m. Sunday at the Mahn Family Funeral Home, Bodelson-Mahn Chapel and one hour prior to the service at the church. Memorials preferred to First United Methodist Church. [S2411] Find a Grave website, online www.findagrave.com, MEMORIAL ID 50782475. Hereinafter cited as Find a Grave website. 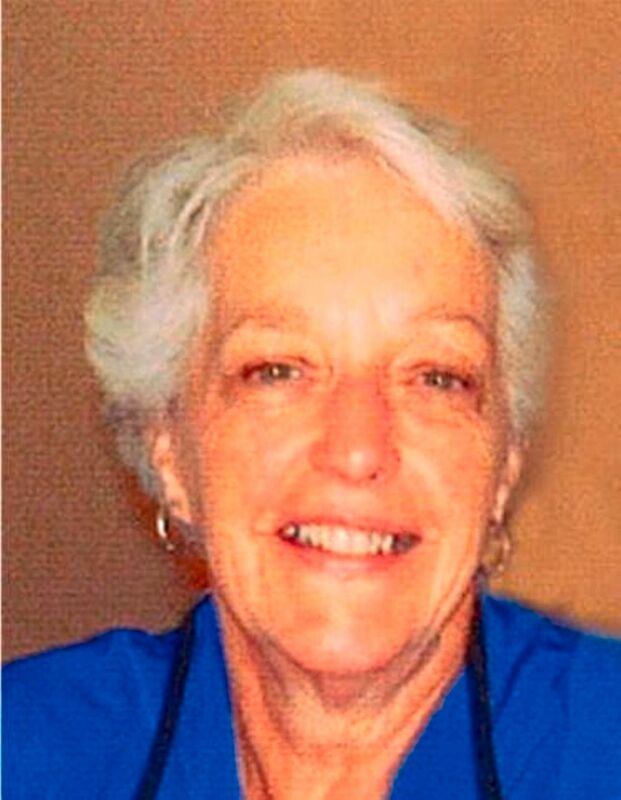 Joy Enid (Featherstone) McLean, age 74, of Mankato, passed away on Saturday, February 10, 2018 at Pathstone Living after her 10 year journey with Alzheimers. A Celebration of Life will be held on Thursday, February 15 at 6:00 p.m. at Northview-North Mankato Mortuary. Visitation will be on Thursday from 4:00-6:00 p.m. prior to the service at Northview. Burial will be held at a later date at Hope Cemetery in Red Wing. Joy is survived by her four children, Shelly (Scott) Walker of Eagle Lake, Patrick (Willayne) McLean of St. Peter, Dawn (Grant) McLean of Eagle Lake, and Alan (Angie) McLean of Lake Crystal; grandchildren, Macy Walker, Brandon and Jillayne McLean, Kaylee, Sydney, and Jackson McLean; two brothers, Bruce (Linda) Featherstone of Prescott, WI and Don (Barb) Featherstone of Red Wing; sister, Julie (Chuck) Kinney of Red Wing; and many nieces, nephews, and special friends. She was preceded in death by her parents and Neil McLean. [S2412] Joy's Story, Mankato Free Press Online, http://obituaries.mankatofreepress.com/obituary/joy-featherstone-mclean-1943-2018-1028140806, 12 Feb 2018, n/a. Hereinafter cited as Mankato Free Press Online. [S2411] Find a Grave website, online www.findagrave.com, MEMORIAL ID 187329205.